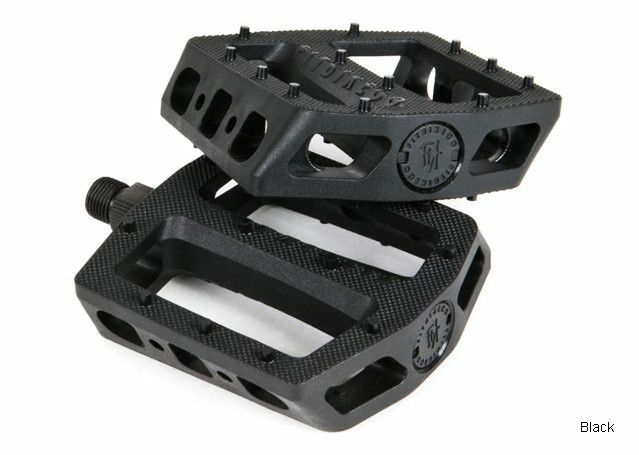 Some riders prefer plastic BMX pedals, and Shawn McIntosh didn’t forget about his plastic pedal friends, with the release of the Fit Mac PC pedals. 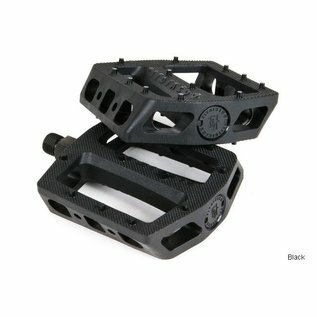 These pedals are a similar size and design as the aluminum Fit Mac pedals, but with a nylon body. The multidirectional foot contour with micro-knurled surface and molded traction pins provide excellent grip and comfort for all bmx riding aspects. These plastic pedals only weigh 14.75 oz. and accepts 15mm, 17mm box & 6mm allen key wrenches. Available in 9/16'' only.